Take your outfit from ho-hum to fabulous! 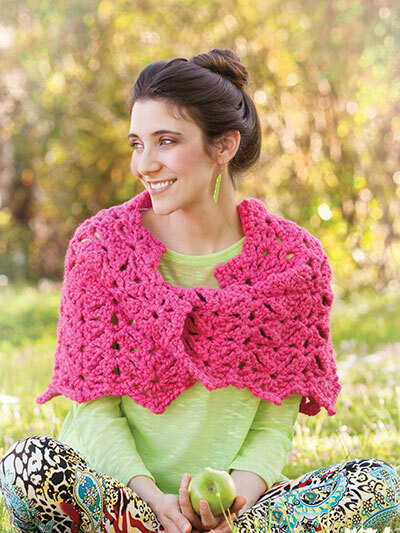 Crochet with super-chunky weight yarn using U.S. size O/12mm hook. Size: 16 1/2" W x 42" in circumference.